Want the very best promotions for your exclusive promo party? Print Night Club Neon Posters and advertise your next event like the rock star you were born to be. 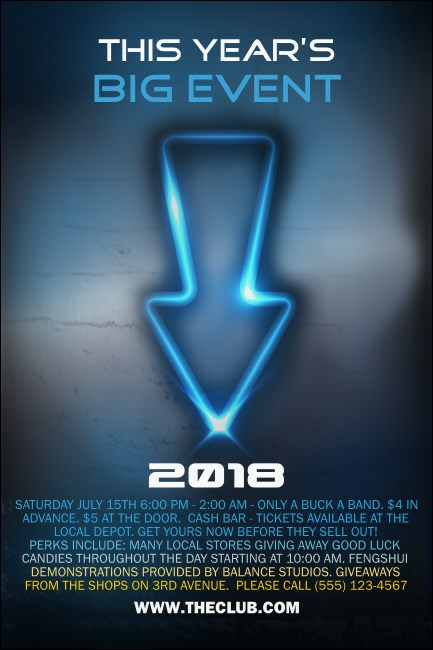 Point your ticket sales in the right direction with Poster templates that feature a neon blue arrow in the background and up to eleven lines of text. Get ready for the hippest advertising on the block at TicketPrinting.com.